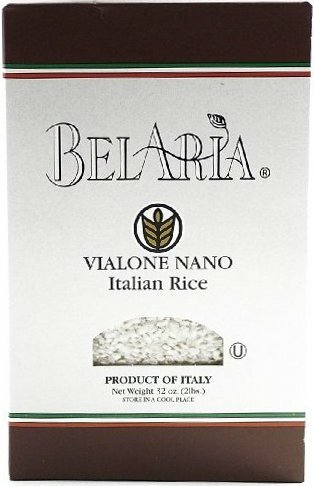 The best rice types for risotto are Carnaroli, Vialone Nano and Arborio. 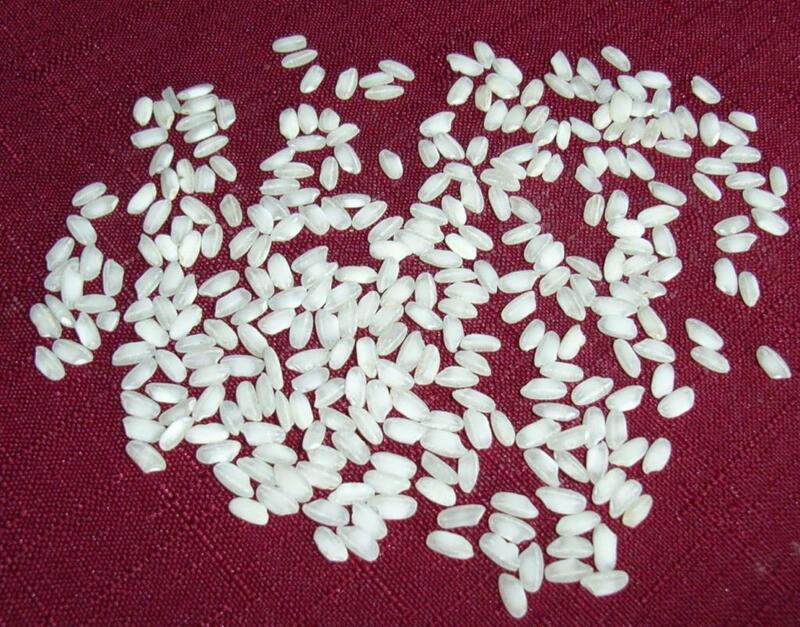 These are all high-starch, low-amylose short grain rice. These characteristics are required to obtain a creamy risotto. 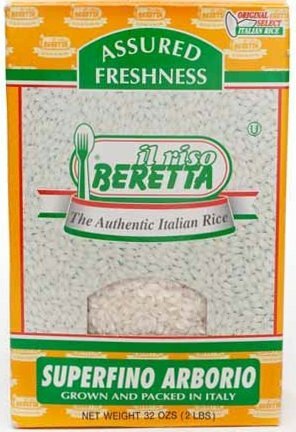 Never wash the rice as this will remove some of the starch necessary to achieve the correct consistency. Any heavy bottom sauce or saute pan can be used. When selecting a size, keep in mind that the rice will expand up to 2-3 time the original volume during cooking. Add butter, oil or a combination of the two depending on the specific recipe. Fry the minced onion and/or any other flavoring the recipe calls for. After a 1-2 minutes add the rice and toast for a few minutes until the edge of the rice become translucent. Add the wine if specified by the recipe and let evaporate for a few minutes. Start adding the broth a little at a time stirring often, let the liquid evaporate before adding more. 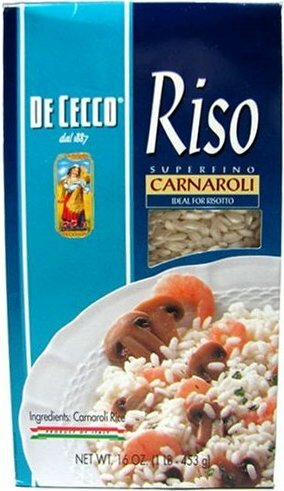 For best results only add very hot liquids to the risotto. This is usually done by keeping a second pan with simmering broth on the side. Some recipes add delicate ingredients towards the end of the cooking to preserve the texture and flavor. This is usually done after about 10-15 minutes when the rice is almost ready. After a few more minutes the rice should be ready. Take it off the fire add butter and/or cheese (as required by the recipe) and let it rest partially covered for 3-5 minutes.